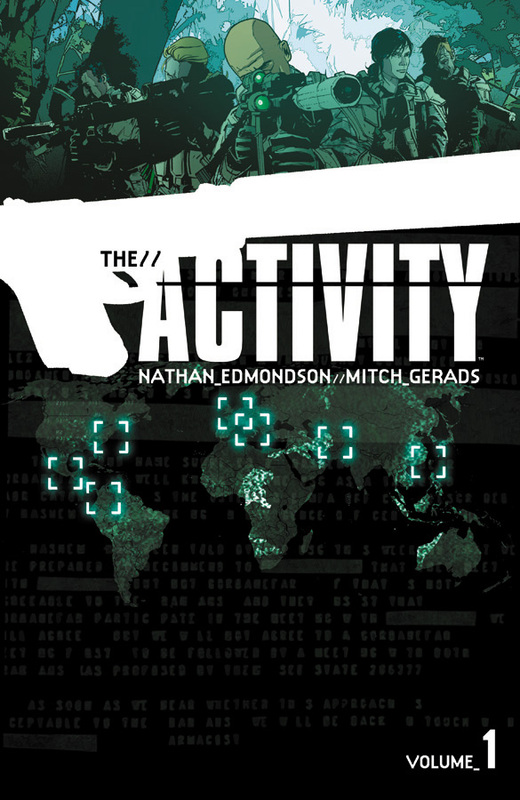 Lots of buzz about a new series from Image led me to pick up The Activity Volume 1 trade paperback by Nathan Edmondson and Mitch Gerads. The evolution of global conflict necessitates the evolution of warfare to rise and meet the call. The United States’ latest, most advanced and most secret special operations group is hidden inside the INTELLIGENCE SUPPORT ACTIVITY. They are tasked with fixing botched operations, wielding bleeding-edge tech and planning and executing lethal action in the utmost secrecy. This review has been hanging over me for weeks, since I finished the book. Everything is there for me to love The Activity: a covert government team sent around the world to quietly take care of situations the U.S. government deems needing attention. Lots of action tackling a variety of scenarios, varied and interesting; no getting bored with these missions. Yet when I look overall it comes down to one thing: this drama lacks drama. Let’s step back and give a little more to that statement. There’s a basic formula that follows each issue and mission presented: the team is given their orders, they perform the task and return home. The bulk of the story is the mission performance since that’s where the excitement and action take place. 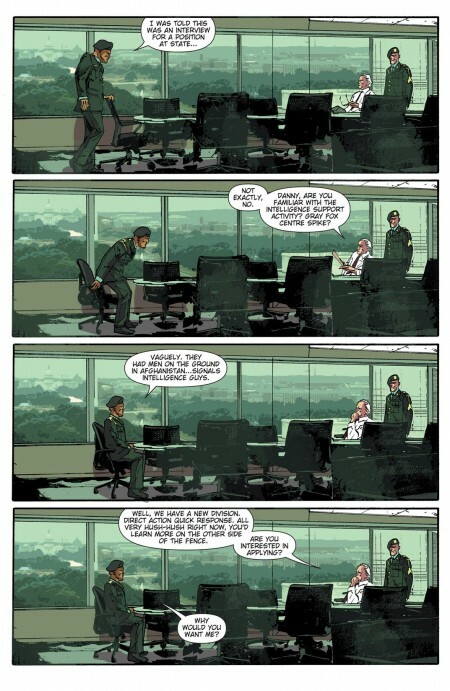 As readers we’re presented with that action sequence but it flows in a cinematic fashion instead of a comic book flow; the panels don’t present any edge of your seat tension and drama as the team just misses being spotted or avoids that bullet. That comes across in a few talking sequences where the art either doesn’t change or barely changes: works well on the screen but not so much in a comic. The Activity flows very well. We start with the characters and after a brief introduction it’s right into the fray. As we progress details and back history is given about the team: they become people and not just action cut-outs. It’s not all roses either; we’re treated to a failed mission from the way home told through flashbacks that really explores who these people are. A slow burn that draws the reader in and keeps them there. 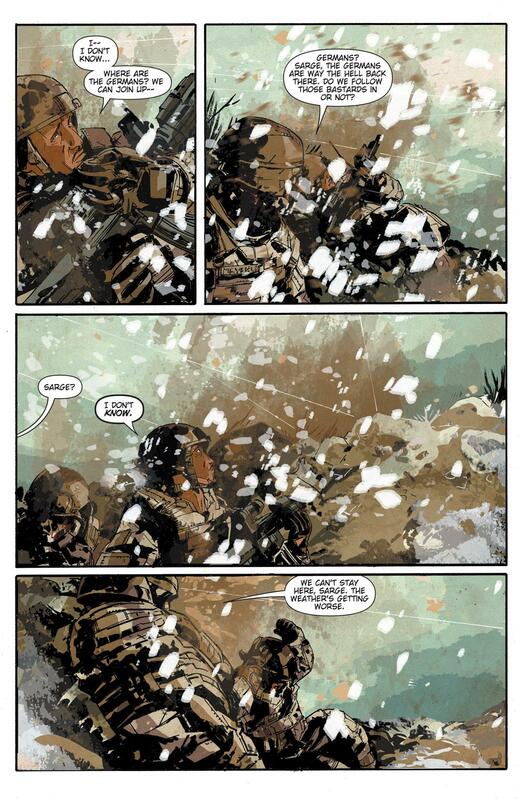 Dialogue fits with what we’ve come to expect from this type of story; it gets the job done. With so much of The Activity taking place at night the art is a highlight of how to provide excellent detail and development with a darker palette. Colour steals the show here: it adapts and emphasizes in all the right places, from the red walls of a bar to the green and brown of a jungle. 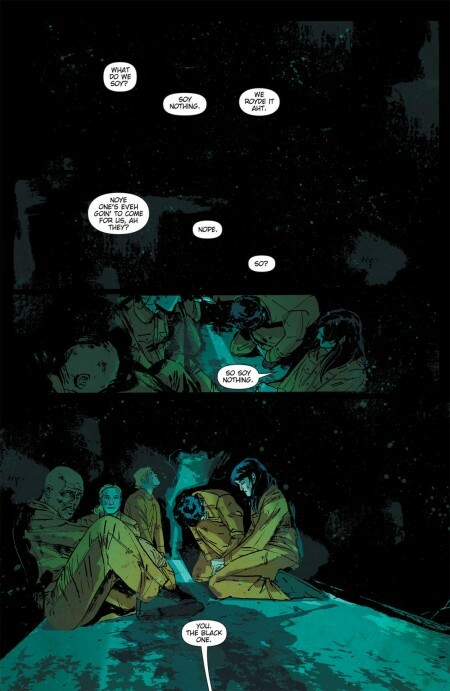 Even though a lot of panels have no backgrounds the colours presented behind the characters enrich the page. For extras we’re treated to a flow chart of characters and a glossary of terms; not your ordinary trade paperback material. 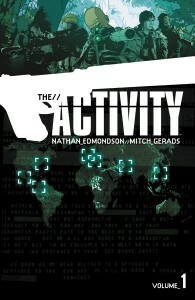 The Activity is billed as Espionage/Thriller and delivers strongly on the first but lacks on the second. At $13 a solid value with opportunities for multiple reads.